Planetfall – The footsteps of giants. Deployed without fanfare or ceremony to planetside, the 2nd Edge of Tactical Blade Rashan claim the dubious honour of both the first Astartes footsteps upon Aren Prime and the first shots fired in anger by the Astartes during this intervention. While the 1st Edge secured the immediate dropsite and surrounding square two kilometres for use by the Astartes, the 2nd Edge performed hunt-and-kill sweeps, systematically clearing all Secessionist forces from the initial theatre of operations. Early reports relayed to the orbiting strike cruiser Kiss The Blade were despondent at best, detailing weak resistance by medium to low numbers of enemy combatants that required little to no tactical nous on the part of the Astartes and cursing the vagaries of destiny that had brought them to this place. It is notable that contact with pro-Imperial forces was limited to the point of avoidance by the Astartes, with no representatives present at any briefings or communications made by the Talons. Contact with elements of the 131st Malaz Heavy in-field were brief and few, with many Imperial persons doubtful that the Astartes had even deployed planet-side at all. 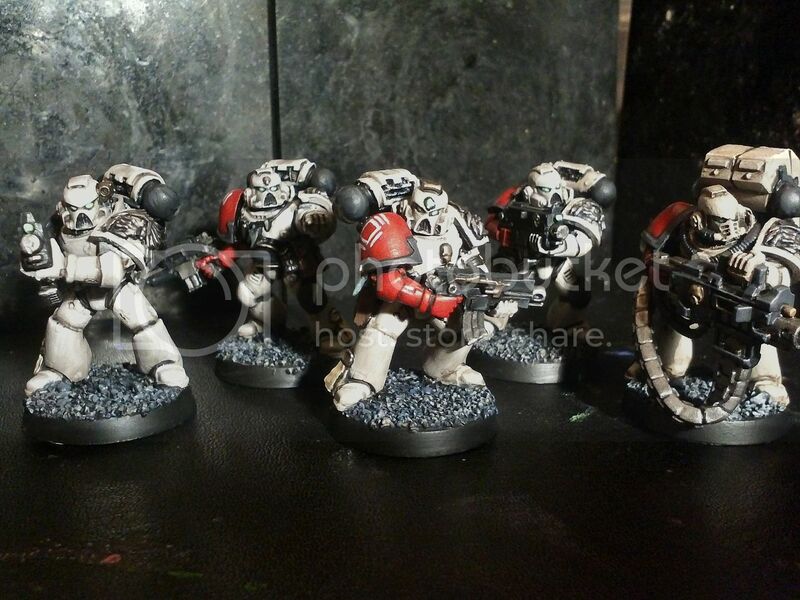 The 2nd Edge are seen here clad in the standard bone-lacquered plate of the Iron Talons, bearing the red right arm as is traditional for fully inducted Astartes battle-brothers. As is usual for the Astartes, each brother displays a mix of various armour marks and bolters, ranging from the standard Godwyn pattern to older marks such as the venerable Tigrus. The Talons are renowned for a somewhat lax approach to the arms and armaments dictats of the Codex Astartes, instead allowing each brother to arm himself with whichever pattern bolter best fits his own desires and turning a blind eye to non-standard mixes of armour plate sections. Closer observation of individual Iron Talon Astartes will further the idiosyncrasies of this Chapter. 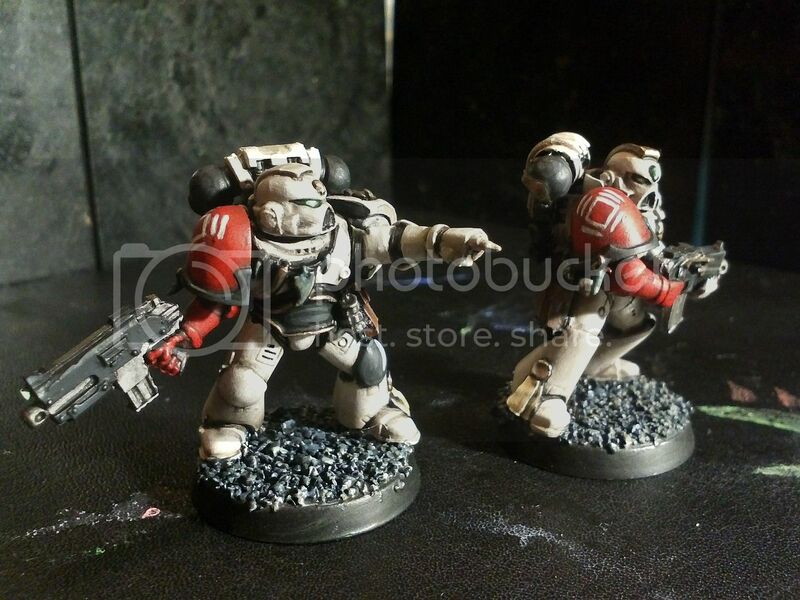 In a similar manner to that of their Primogenitors, the lauded but savage White Scars, the Talons employ non-codex squad and company markings displayed on the right shoulder pauldron and left kneepad respectively. 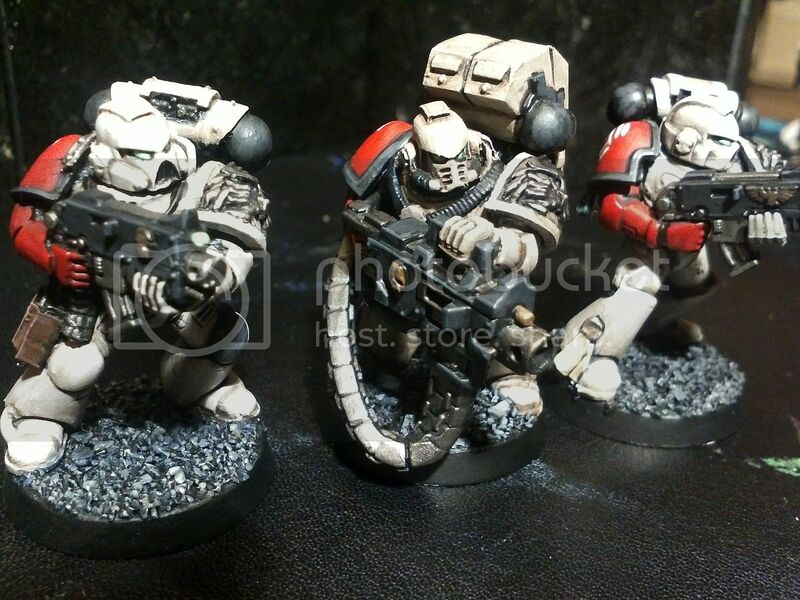 Enemy combatants and even friendly forces from outside of the Chapter will be hard-pressed to positively identify a particular squad or Astartes from these markings, a confusion that the Talons encourage and do not attempt to clear. Removed from the ongoing crusade against the Blackmaw orkoid xeno, several members of the 2nd Edge display kill tokens and trophies taken from notable kills. Often these will be the tusks and canine teeth ripped from the jaws of the xeno-forms, although other tokens carved from sections of larger bones are also common. Note that all tokens are stained black due to the documented traditions of this particular xenos clan-brood. Review of after-action reports and missives submitted by combat veterans of the 131st Malaz Heavy Infantry and other pro-Imperial agencies clearly picture an Imperial presence disappointed and disenfranchised with the presence of the Iron Talons. 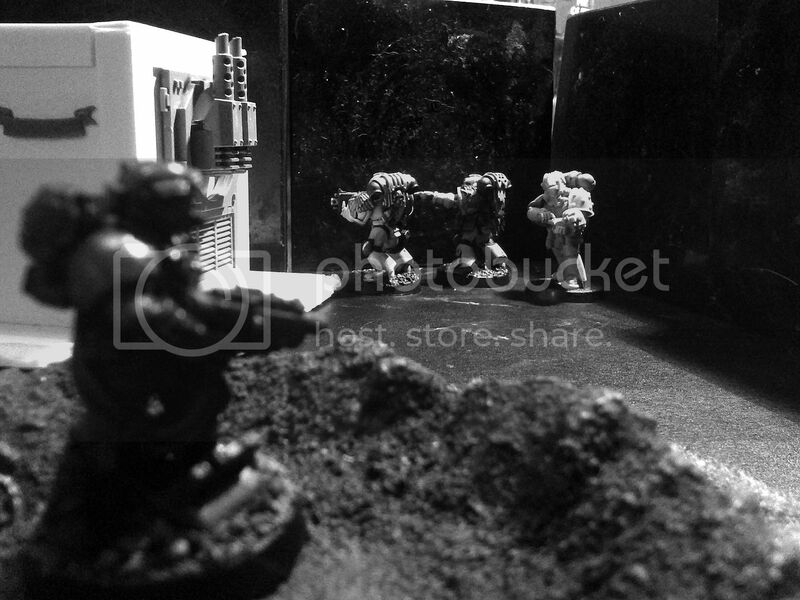 Whilst many of the Imperial commanders might have expected a more co-operative Chapter, possibly influenced by the depiction of the so-called ‘Space Marines’ of the penny-dreadful prop-lit publications and more lurid entertainment vid-progs, it is clear that much of the Imperial strength in-theatre was unsure how to deal with these elusive and silent Astartes. For their part, the Inquisition remained silent and choose to concentrate on their continuing investigations and infiltration of Secessionist-held territory. It was only with the Stane Service Township clash (ref Reclamation Action 82/db-3) that Imperial forces would see the Astartes deployed in more than combat team strength, an event that established both the Astartes’ feelings towards this Compliance and the combat doctrines by which they would prosecute this war.